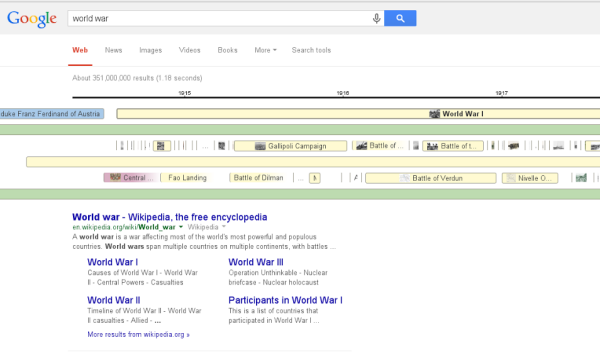 Google tests a timeline view for Knowledge Graph cards. 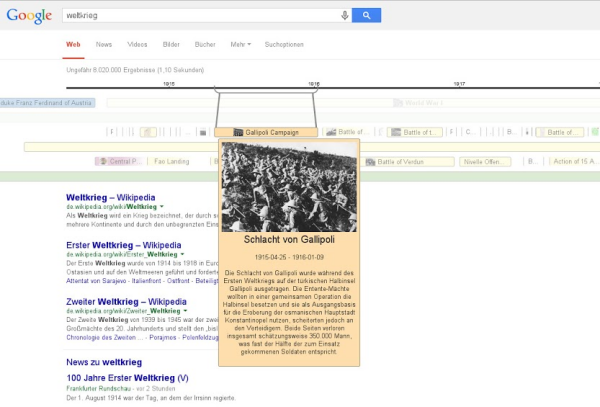 For a query like [World War I], Google's experimental interface displays a chronological list of important events obtained from Wikipedia articles. Mouse over an event and Google shows more information, including images, relevant dates and snippets from Wikipedia articles. Click the event to perform a Google search. By default, Google only highlights some of the most important events, but you can zoom in to explore to see even more events. Google uses colors and parallel axis to distinguish between different types of information. Here's a video that shows this feature in action. Right now, the timeline view looks like a tool for power users and Google will have to create a simplified interface when this feature is publicly released. Back in 2007, Google Labs added a timeline view for Google Search. 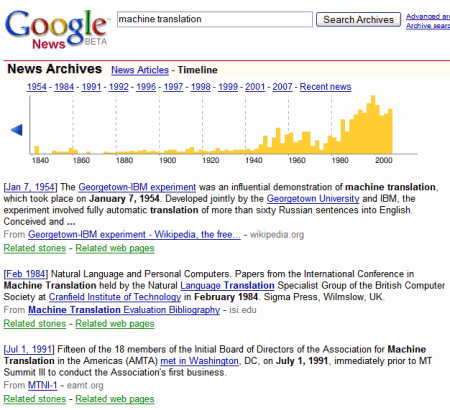 Google News Archive also had a timeline view. These features displayed relevant search results about important events related to your query.